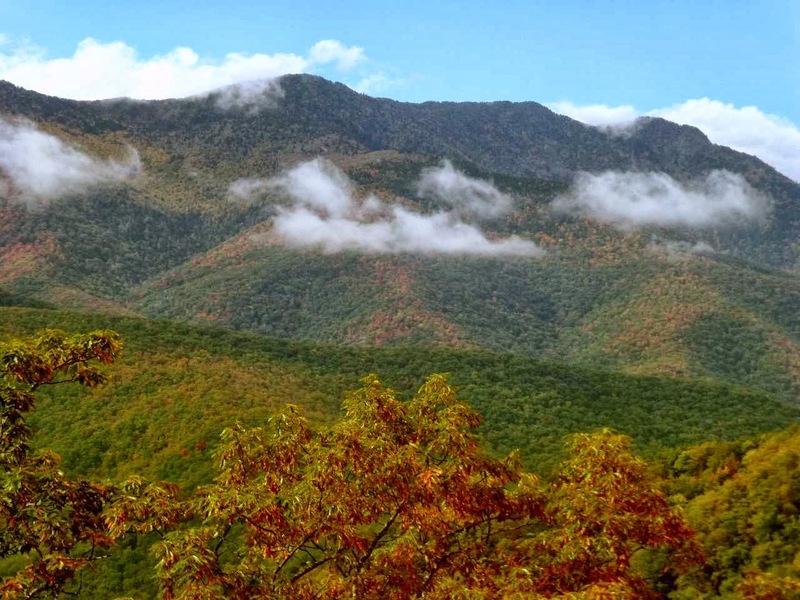 It’s Week 2 of our fall color reports for the North Carolina mountains around the Inn on Mill Creek Bed & Breakfast. 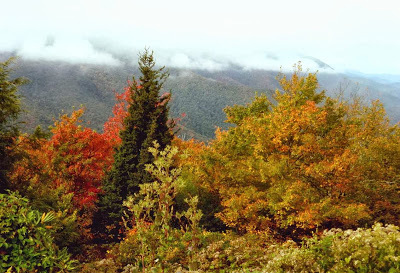 While Black Mountain, Asheville and our neck of the woods at 2,300 feet above sea level are starting to show signs of color, the peaks above 4,000 feet are decked out in velvety golds, oranges and reds as beech, birch, maple, sassafras, sweetgum, dogwood and more light up with color. 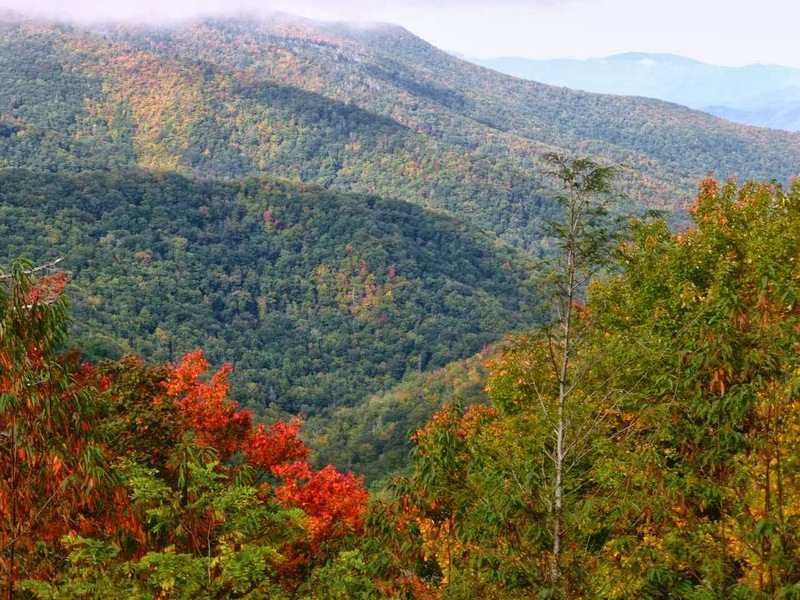 The Blue Ridge Parkway between Highway 80 and Mt. 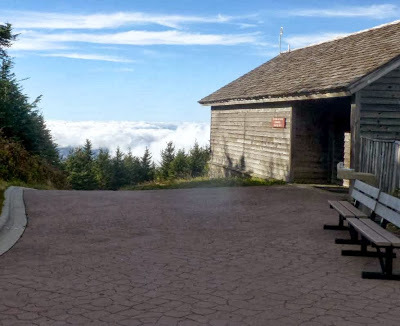 Mitchell State Park (Milepost 340 to Milepost 355): Despite the federal government shutdown, the Blue Ridge Parkway, part of our country’s National Park System, is OPEN. 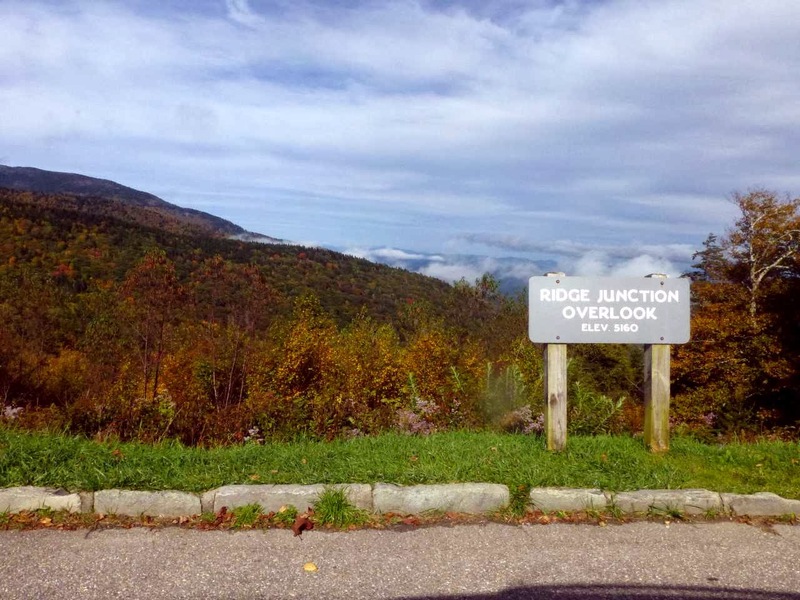 This particular section of the Parkway is Innkeeper Brigette’s favorite and includes the Green Knob overlook, which is the peak visible from the Inn on Mill Creek’s orchard, as well as other overlooks that are stunning this time of year, blanketed by fall color. Hiking trails at Mt. Mitchell State Park and trails near the overlooks between Highway 80 and Mt. Mitchell can be crowded this time of year, especially on a Saturday. 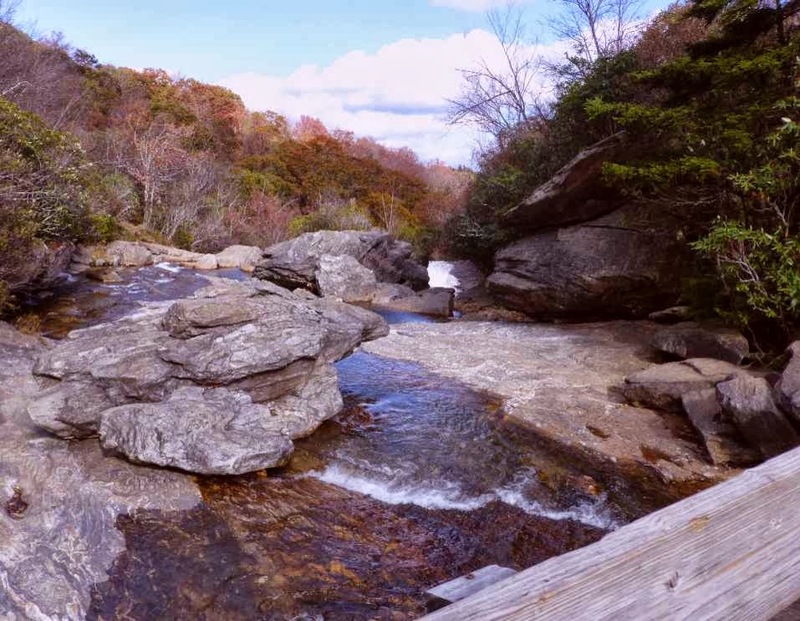 So if you want a trail that’s a bit off the beaten path on a weekend, we suggest Roaring Fork Falls off Highway 80. And if you want to travel from the Inn to the Blue Ridge Parkway on a road other than Highway 80 or Highway 221 — maybe something a little more rugged for those of you with SUVs and/or 4-wheel drive — then turn left from Highway 70 onto Curtis Creek Road (before Highway 80) and you’ll get to the Parkway via a partially paved/partially gravel, narrow road through the Curtis Creek Recreation Area (road open but facilities closed at this moment unfortunately, thanks to the shutdown). What’s neat about this beautiful area is that it was part of the first purchase of land to establish Pisgah National Forest in the early 1900s. Graveyard Fields: Our second suggestion for you fall color scouts who will be in our area during the second week of October is Graveyard Fields. 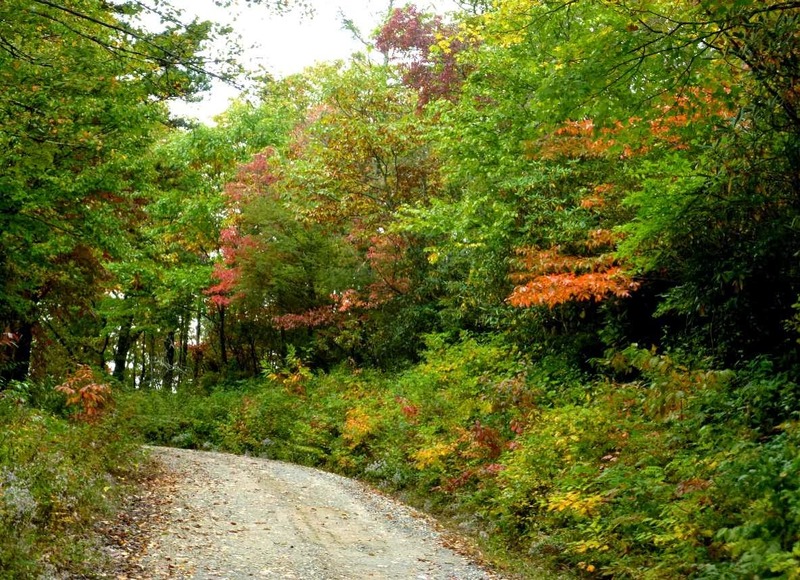 Located approximately 40 minutes southwest of Asheville off the Blue Ridge Parkway at Milepost 418, past Mt. 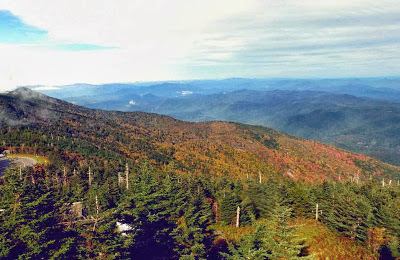 Pisgah, the mile-high valley got its moniker from the landscape — tree stumps resembling headstones that were damaged by wind and fire many decades ago. Now the fields are full of wildflowers, blueberries, rhododendron and other shrubs, with the Yellowstone Creek meandering through. Peaks between 5,000 and 6,000 feet surround Graveyard Fields, complimenting the rosy red shrubs in the fields and offering up some of the most unique and beautiful views this time of year. 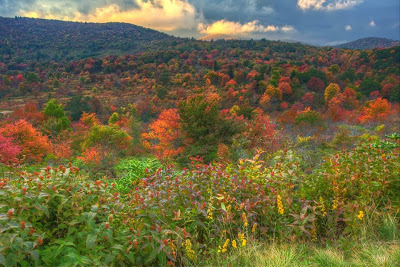 We saw this photo of Graveyard Fields taken last week by John Alan Crisp Photography on Facebook and had to share. Stunning! Hike WNC has a great page describing the four-mile hiking/waterfall loop trail at Graveyard Fields. 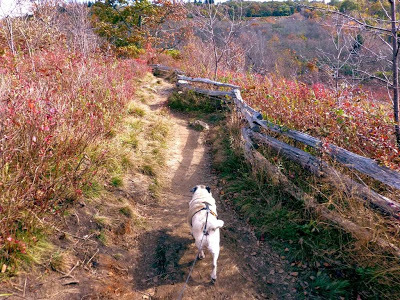 Take note, Graveyard Fields can be a bit breezy and cool this time of year, so wear layers. And an update on color here at the Inn: sourwoods and dogwoods are providing early color, and the foliage progresses every day now, mostly with sassafras, sweetgum, maples and beech trees. The slow motion waterfall of color washing down the mountains has definitely begun, so check back next week for the good places to see color as it makes its way down to our elevation this month.